These easy vanilla cupcakes make a tasty treat for a party or special occasion. 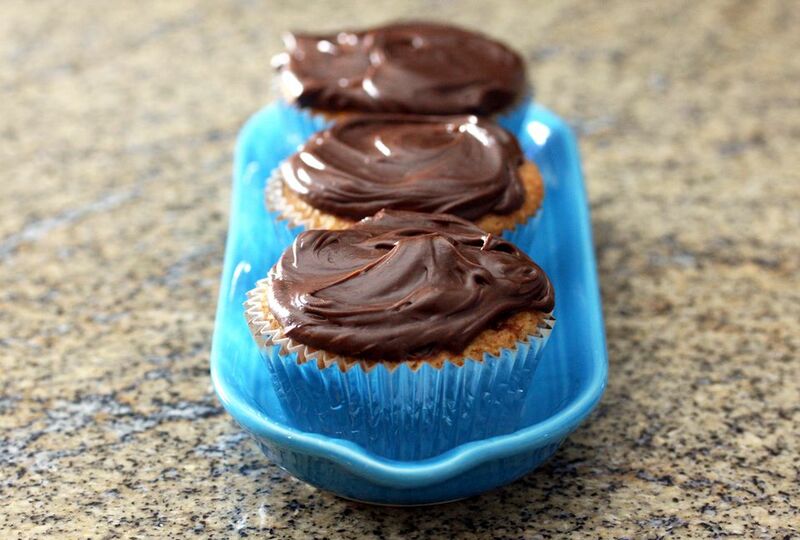 These cupcakes are topped with a dark chocolate frosting, but feel free to use a ready-made tub of frosting or your favorite recipe. Make them extra-special with some decorating sprinkles or colored sugar. Grease and flour cupcake pan(s) or line the cups with paper liners. In a mixing bowl, combine the flour, sugar, baking powder, and salt; stir with a whisk or spoon to blend thoroughly. To the dry ingredients, add the softened butter, milk, and vanilla. With an electric mixer at medium speed, beat for 2 minutes, or until smooth and well blended. Add the eggs and beat for 1 minute longer. Fill the prepared cupcake cups about half full. Bake in the preheated oven for 20 to 25 minutes. Let the cupcakes cool in the pan for about 10 minutes and then remove them to a rack to cool completely. Melt the butter and chocolate in the top of a double boiler or bowl over hot water. Combine 2 cups of powdered sugar and salt in a bowl; pour 4 tablespoons of hot milk over the confectioners' sugar and salt, stirring until sugar is dissolved. Add the vanilla. Add the melted chocolate mixture and beat on high speed of an electric mixer until the frosting is thick enough to spread. The frosting will thicken as it cools. Add more confectioners' sugar or more milk, a few drops at a time, as needed. The recipe makes enough to frost 18 cupcakes or tops and sides of two 8-inch cake layers.